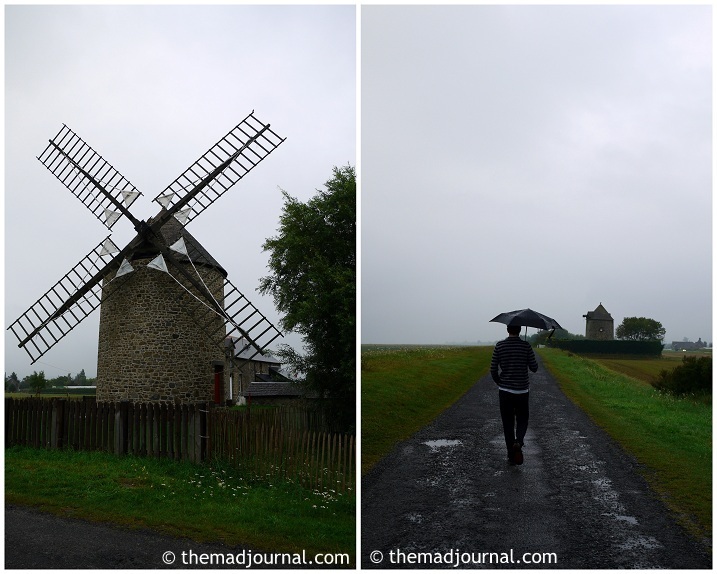 I started raining as soon as we left Saint-Malo. We were driving in the middle of the green in the rain. because it should have been nicer even though it's not the shortest way. It was very dull and grey sky because of the rain. But I saw the very nice scenery so I asked my partner to stop there. and the windmill facing to the sea. 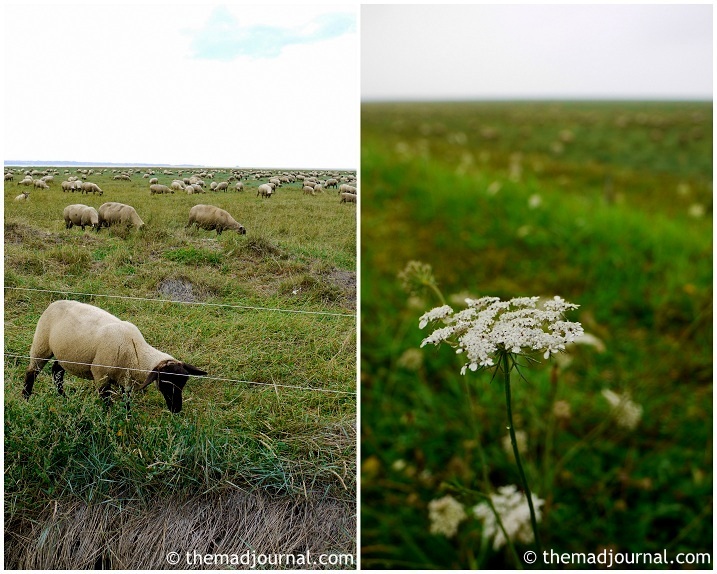 It was the very typical Normandy countryside scenery, I couldn't help taking photos. But it was a proper rain, not like English drizzle. And it became harder and harder. I was wearing flat shoes on bare feet. So by the time I finished taking photos, I was totally soaked! it was a shame not to take nice photos because of the rain! he decided to take the same road on the way back his parents home since it was sunny. This time, I could get closer to sheep and see the blue sky. And finally I could see the sea under the sunny sky. It was really lovely view of the green sea coast with wild flowers. Next is Mont Saint Michel.